Consider this scenario: you paid a whole load of money to get a cool-looking pair of tennis shoes. You get equipped to go on the field, and at the first pass of the ball, you slip on the grass and make a fool out of yourself. Moreover, after continuous playing, you realize that your feet hurt like a nightmare and that your footwear if far from being the best tennis shoes. The cushioning is way too thick, and you don’t even have support in the right places. As a result, you are struggling to finish the game so that you can literally throw them into the garbage bin. Tennis shoes need to have a special construction that will fit the type of field that you are playing on. Furthermore, they must fit your foot and your style. Choosing the wrong pair may make you feel very uncomfortable, and it will end up in a lost game. The best tennis shoes will give you the traction that you need, the support, and also the proper comfort level. You shouldn’t even be able to feel that you are wearing them because they will simply become an extension of yourself. The court surface type that you are playing on will significantly impact the type of tennis shoes that you have to purchase. Each court surface will have its own requirements which you need to be very attentive to, the most important being the traction and its ability to absorb shock. When playing on a hard court, you will need to have durability in mind – because concrete is unforgiving. You will need a resilient outsole as well as a supportive upper, with a lot of cushioning. The soles of a pair of tennis shoes for concrete courts will wear much easier, so you will want to check your shoes for damage every once in a while. If you see wear signs on them, you should consider replacing them. A worn sole pattern won’t be able to offer you good traction and will, therefore, compromise the quality of your performance. When it comes to hard concrete courts, you also need an upper and an outsole material that is tough and resistant to wear. Some good examples would be vinyl or leather. A clay court is much softer than a hard court, which means that it also requires a different type of shoe. The best tennis court shoes meant for clay surfaces will usually have a synthetic or fabric upper, but also a herringbone sole pattern that won’t get clogged up with clay. This will offer you a better stability and grip that you’ll need for sliding, and they will also enable better speed and maneuverability. Similar to clay courts, grass courts are also soft. A tennis shoe for grass courts will be designed to prevent damage to the field, but also offer you traction if the grass gets slippery. They are usually made from synthetic and mesh combination, and the soles are herringbone patterns and/or rubber stubs that will provide traction. Indoor tennis will usually have a carpeted field, but it’s also possible to come across clay or concrete courts. However, if you are dealing with carpet, the best shoes for tennis will usually have a smooth sole, with no specific pattern. Not only will this protect the surface of the court, but it will also prevent the risk of injury. 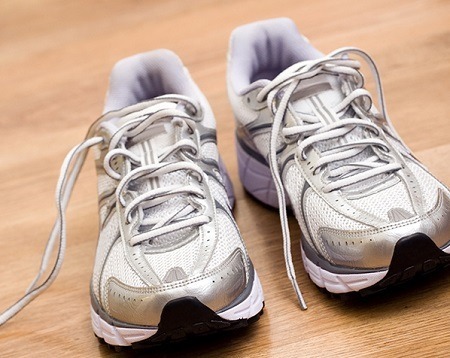 The comfort of your tennis shoe will be determined by your foot type and the amount of cushioning it will need. If you place your foot in the sand or dust and you see a full impact, then you have an overpronating foot. These individuals have the tendency of rolling their feet inward with every stride, which is why they will need a shoe with a harder upper and stabilizing cushioning. If the space that you are seeing in the arch area is moderate, then your foot is exactly as it should be and you are a “neutral.” A tennis player with this type of foot will usually have no problem picking their tennis shoes since any average model will work for them. If your footprint leaves a very large, open area, then you have an underpronated (or suspinated foot). The best arch support tennis shoes that you can get for this type of foot will have a fair amount of cushioning to offer support. Since underpronators have the tendency of rolling their foot outward as they stride, they will need a more flexible shoe to minimize the shock as they are making lateral movements. 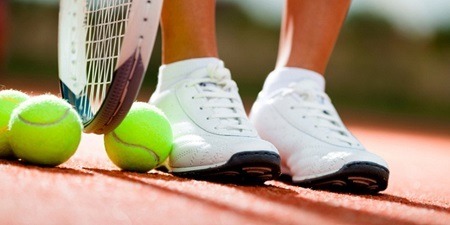 Tennis shoes are made from all kinds of materials, all based on different determining factors such as traction and wear. To find the best materials for your shoe, you might want to consider the type of field you will be playing on, as well as your play style. Each material has its pros and cons, and not all of them may be perfect for every tennis player. Here is a list of common materials that you may choose from when looking for the best tennis shoes, along with a short description that includes their benefits and drawbacks. Canvas: This material is very breathable and fairly light. Since it keeps your foot the coolest, canvas tennis shoes are an attractive choice for hot summers. Still, this material may not be suitable for hard courts, since they offer the least support out of all materials. Leather: Out of every material for tennis shoes, leather is probably the most expensive – but also the one with the highest durability. It offers superior support to your feet, and it will also keep them dry. The only drawback is that leather doesn’t let your foot breathe very well. Vinyl: Vinyl looks like leather, feels like leather, and offers the support of leather – without you having to spend as much as you would on leather. This faux leather is more affordable, making it perfect for tennis players on a budget. Still, since it’s “faux,” it doesn’t have the durability of the real thing. Plus, they’re even less breathable and may lead to perspiration. EVA: This material is used for the tennis shoe soles, and it’s quite common among tennis players looking for lightweight shoes. It offers a decent amount of cushioning and support, but it’s not that reliable when it comes to stability and durability. Polyurethane: This is also a material used for making the sole of a tennis shoe. Unlike ETA, it’s denser, more stable, and more durable, making them a good choice for hard tennis courts. The drawback is that its density makes this material heavier. This is why it is more suitable for large athletes. The way an athlete will play tennis should also be considered when you are browsing for tennis shoes. Baseline: Baseline players tend to spend most of their playing time in the back of the tennis court. This style will require a lot of side to side motions, which is why you will have to invest in a pair of shoes that have more lateral support. Serve-and-volley: These types of players will usually stay in the middle of the court, and will frequently charge towards the net. The style is hard on both the soles and the toes of your shoe, which is why you will need a set of tennis shoes with a toe cap protector and a durable sole. 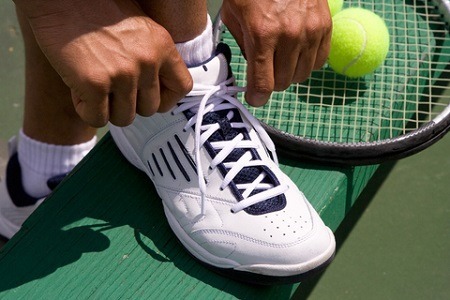 The best tennis shoes can also be customized for cushioning depending on whether you are right handed or left handed. For instance, a left-handed player will tend to put more pressure on the right foot, which will also require extra padding. 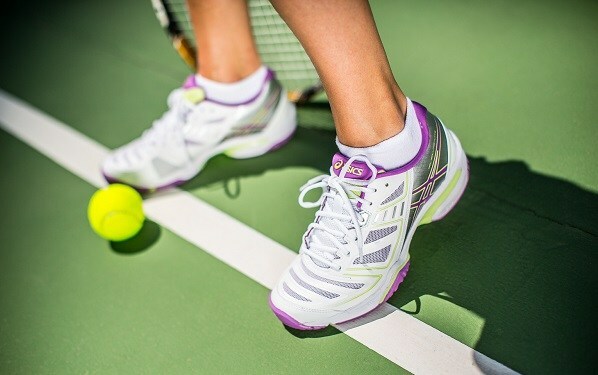 This tennis shoe underwent many modifications over the years, continuously improving their formula for proper support and performance – which is why they also earned the title of the best tennis shoes. These low top shoes are perfect for multiple types of players. While they are flexible and light, they are also suitable for aggressive players that need more stability and support. The upper is made from a softer textile material, much more breathable, that will keep you cool throughout the match. Plus, the cushioning will also be softer, to provide you more protection in areas that are more vulnerable. The ankle collar increases the comfort of the game by using memory foam technology. This will literally secure your feet into the tennis shoes. The pattern of the rubber sole will provide good traction as well. This way, you will not slip even if the court is wet. The insole is also removable, so if you require one with extra cushioning, you can easily take it out and change it. Furthermore, the heel features ADIPRENE for even more cushioning. 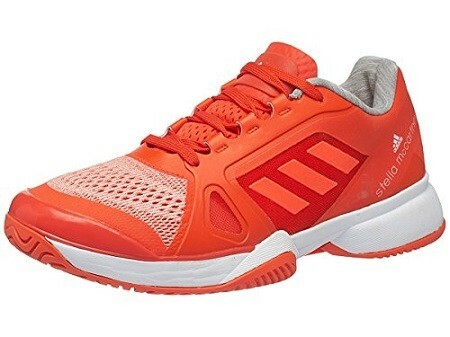 Overall, these are the best tennis shoes if you have to play on a hard court – but can also be converted in grass court shoes by simply changing the insole. These tennis shoes were meant to offer maximum stability while keeping your feet cool and dry. These are perfect for those hot summer days when your feet are perspiring because the material will let you breathe. The cushioning is not too much, but not too little either. It will be enough to hold your foot in place so that the tennis shoe doesn’t move around as you are running after the ball. When it comes to the material, ASICS combines textile and synthetic fibers to promote breathability, but also to increase its durability. It also features a stylish design, typical of the brand that can be secured in multiple colors. The signature gel midsole of the shoe will also ensure that you are perfectly comfortable and secure. The rearfoot and the forefoot cushioning is also made of gel, which means that it will take the shape of your foot and provide proper cushioning. The PGuard toe protector also makes them the best tennis shoes. This will make the shoe a good choice if you are a serve-and-volley player, where you constantly charge to and from the field. The Flexion Fit Upper system also enhances the comfortable fit without compromising the support. It’s flexible enough so that you can move around, without being restricted by the shoe. The rubber sole is EVA, which means that it’s very lightweight. Furthermore, the material received more cushioning and treatment to enhance its durability, making it perfect for hard courts as well. 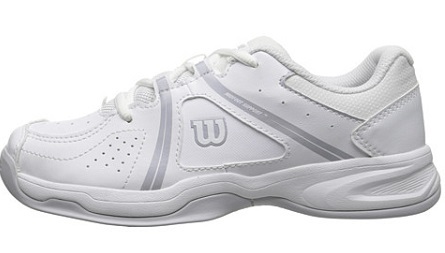 Overall, these are the best tennis shoes if you are playing on a hard court. With their gel cushioning, they can attenuate the shock nicely, allowing you more movement. At the same time, the tread pattern will provide decent traction if you are playing on a grass court. These tennis shoes are a fairly good alternative if you are on a budget. 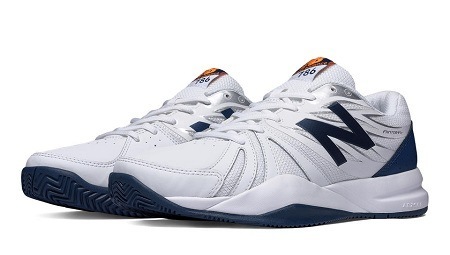 They are the best tennis shoes available that you can take on both hard courts and soft courts, with the ability to mold around every circumstance. The materials from which these shoes were made include both textile (cotton) and synthetic materials. These will not only improve their breathability but will also increase their durability and ability to offer you support. The long wear drag tip makes the shoe perfect for baseline players. Furthermore, the non-marking outsole makes these shoes the best alternative for playing on grass. The herringbone pattern will ensure that you have a good grip on the ground. The C-cap midsole will provide decent support of the arch, although they are more suitable if you have neutral feet. Still, the cushioning is decent, and no extra room is left. They wrap around the foot nicely, providing you a good support level. 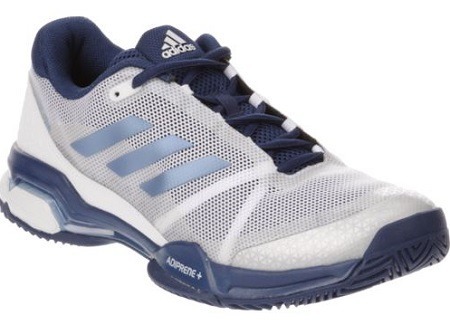 If you are looking for the best tennis shoes for women, look no further than the Performance model from Adidas. Just like the model for men, this tennis shoe also managed to impress and go at the top of the best tennis shoes – and for good reason. This model from 2017 has improved to no end. The synthetic upper is perfect for those looking for increased durability. This makes them abrasive-resistant – and also a perfect choice if you have to play on an unforgiving hard field. The ADITUFF will also wrap around the toe in order to prevent damage from foot drag. This is especially convenient if you have a serve-and-volley style of play. The exterior is based on a two-layer mesh designed to offer extra breathability. Furthermore, thanks to the seamless bootee, they also provide the ultimate fit and comfort. The extra ADIPRENE will provide more cushioning and rebound to the foot. This way, you will not feel the shock even if you are playing on concrete courts. 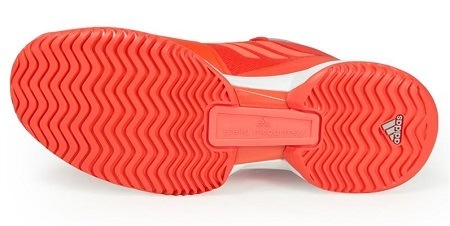 The ADIWEAR 6 sole is very durable and is also resistant to wear and tear. The best time for a person to learn how to play tennis is during their childhood. However, considering that their physique is still developing, they need to have proper support - which is why the Wilsons are the best tennis shoes you can get for your junior. The quality and price ratio of these shoes is really great. Without paying an enormous sum of money, you get a pair of tennis shoes that are very durable. Furthermore, their comfort level is impressive, considering that they also feature generous padding. 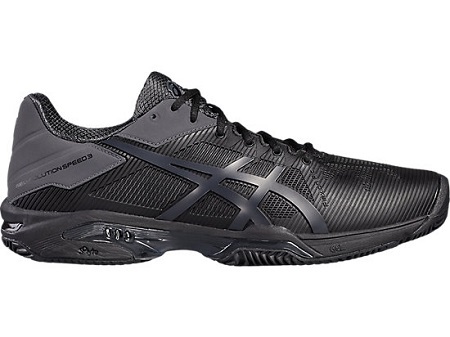 They’re perfect for hard courts – which most schools are likely to have. The synthetic fabric is dense, and therefore, highly waterproof. Your child’s feet will not get wet – at least not unless they are walking in a downpour. The neutral colors are also perfect since they can be matched with any type of clothing. These shoes are very easy to clean since they contain no cloth portions. Furthermore, the foam is lightweight, which will increase speed and performance – that is why they are considered the best tennis shoes for kids. Buying the best tennis shoes is certainly not easy. There are so many things to consider: Is the padding thick enough? How durable is the sole? Will it offer me support, regardless of the arch? Can I play with these shoes on hard courts as well, or am I only limited to soft courts? Still, making the right choice will literally settle the score. If you are not comfortable in your own shoes (pun intended), then you won’t be able to succeed as a player. The first step would be to figure out your physique, then your environment, before finally making your choice. And if you still have difficulties, you can try our suggestions as well. They were tried and recommended by people just like you, who were looking for comfort and performance.